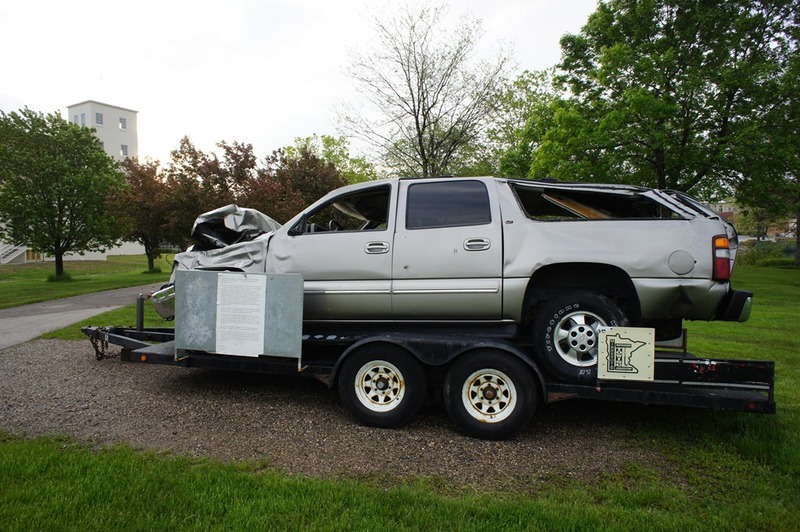 This smashed up vehicle is on display in Ames Park. 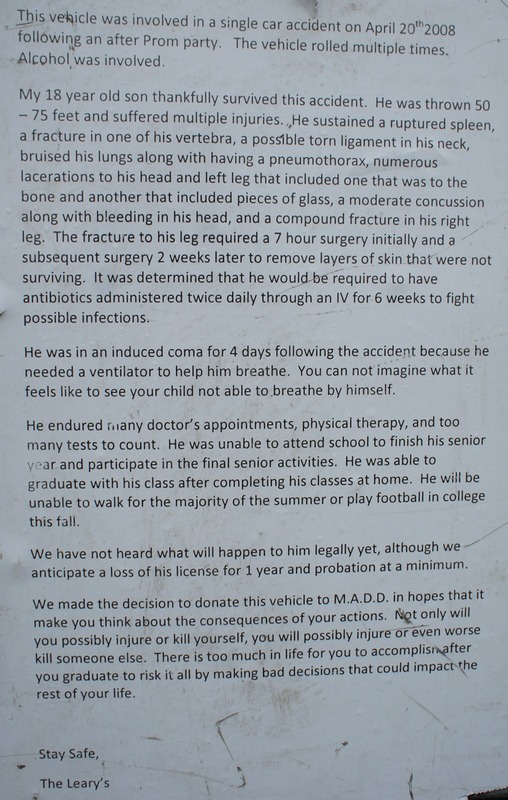 Attached is a plaque describing what happened as a result of drunk driving after a prom. Graduation for Northfield High School is next Sunday, June 5, 2 p.m. at the high school’s Memorial Field. Nfld Patch: PHOTOS: Mock Crash—"One for the Road"
On Tuesday, Northfield High School hosted a mock crash in which two cars collided. In the scenario, one driver was drinking. The driver made it out of the wreck unscathed, but two were dead and others were severely injured. The driver was later arrested for criminal vehicular homicide. High school juniors and seniors watched the hour-long event as it went from the initial wreck to one of the passengers being put in a body bag. The event also had speakers discuss the issue of drinking and driving. Speakers included Rice County Attorney Paul Beaumaster and Kelly and Ron Landsverk of Faribault, whose daughter, Brittney, drowned last year after the car she was in went into the Cannon River.